There is now an app for everything, even your healthcare needs! 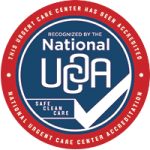 Advanced Urgent Care and Occupational Medicine (AUCOM) providers are now available to help you and treat you remotely. Our Virtual Visit Healthcare App is taking convenience to a new level, by offering our customers treatment 24/7. This new service is changing the way patients can interact with their providers. There is no longer business hours interfering with your medical needs. How much does a virtual visit cost? Our virtual visits are very affordable and the cost does not change regardless of the time of day/night. On our app, we offer two remote visit options for our patients: text and video. Text virtual visits cost $50, and video virtual visits cost $75. Our customers can request a text or a video virtual visit on our health app. AUCOM providers can also determine the best route during a visit, and advise customers which route would be best: text or video. Do you need health insurance to partake in a virtual health visit? No. Most major credit cards are accepted, including HSA cards. 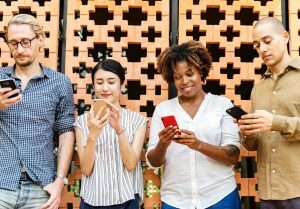 Can the healthcare virtual visit app be utilized while traveling? Yes, as long as you are an established patient with Advanced Urgent Care and Occupational Medicine or Platte River Medical Clinic, our providers can access your charts and provide treatment to you anywhere within the United States. *If you are not an established patient, as long as you are in the state of Colorado, we can provide you with service. We only request that you are an established patient, if you are traveling outside the state of Colorado. Is after hours care provided on the healthcare app? Yes, with the app customers can be seen by one of our trusted providers. Our providers can diagnose and treat most minor illnesses remotely. This service is available 24/7 for our customers convenience. The best part about our after hours treatment, is the cost does not change regardless of the time of day. Who can utilize this app? We love our patients and we are always trying to find ways to make life easier for them. This health app is great for individuals, families, parents…everyone! Where can you receive treatment? Our Virtual Visit Healthcare App offers the option to get remote treatment 24/7 from the comfort of your home, office, or really anywhere, via a virtual visit! What can be treated on a Virtual Visit? Virtual healthcare visits are a good way to get treatment for most minor medical conditions. We have treated the following: allergies, cold and flu, urinary tract infections, eye irritation, sinus infections, rashes, sore throat, pink eye, and more! Possible symptoms evaluated by our providers with a virtual visit: runny nose, itchy or irritated eyes, ear ache, cough, painful urination, skin irritation, sinus pressure and more! Can all devices utilize the healthcare app? Virtual visits are available using a compatible smartphone or tablet. As long as you can download apps onto your device, you can download our app. AUCOM made the process to download our Virtual Visit Healthcare App easy. Feel free to visit our website for more information, or follow our article links for a direct download. There are several ways to download our Virtual Visit Healthcare App. Visit our website to find out more about our virtual health service. See step by step instructions and follow the link to download. Enter in your mobile phone number to receive a quick and easy link to download our app. Load the app onto your device and fill out your health profile. You can also download our health app on the go, visit https://spruce.care/auc and enter in your mobile number (for a link to directly download our application onto your device). *Please note, your device must have the capability to download app’s for our virtual visit service to be utilized. Leveraging state-of-the-art technology, experience a new standard of convenience and care. Download the app today to find out how this new Virtual Visit Healthcare App can help you, your friends, and your family.